At Prince Lobel, we strive to serve the communities in which we live and work with hands-on involvement through volunteering and other charitable contributions. We pride ourselves on having an innovative, entrepreneurial mindset at every turn. Prince Lobel approaches philanthropy, community outreach, and pro bono representation in the same way–by giving members of our staff the freedom to develop outreach and engagement initiatives. We offer a paid Volunteer Time Off (VTO) policy, which lets employees take time each year to do volunteer work for a charity or a firm-sponsored community service initiative. Rose Kennedy Greenway Conservancy: Prince Lobel works with the Greenway’s Horticulture staff on invigorating outdoor projects, making a visible impact on the neighborhood. Catholic Schools Foundation: Prince Lobel teamed up with the Catholic Schools Foundation to offer a series of exciting volunteer opportunities in three local schools. 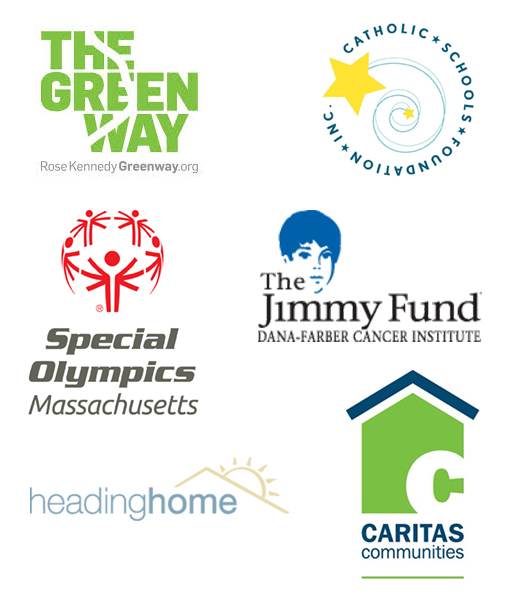 Special Olympics of Massachusetts: We assisted the inspiring student athletes as they competed in summer athletic events. Jimmy Fund: Prince Lobel volunteered as Course Monitors, directing walkers along the Boston Marathon Jimmy Fund Walk course. Caritas Communities: Prince Lobel made a donation of gloves, hats, scarves, and blankets for the veterans at Caritas Communities. Heading Home Inc.: Prince Lobel fulfilled the holiday wishes for the families of Heading Home, which provides housing and support services to low-income homeless and formerly homeless families in local communities. Our firm is deeply committed to the delivery of pro bono legal services and believes that legal professionals have the ability to help the disadvantaged and promote the public interest in ways that members of no other profession can. 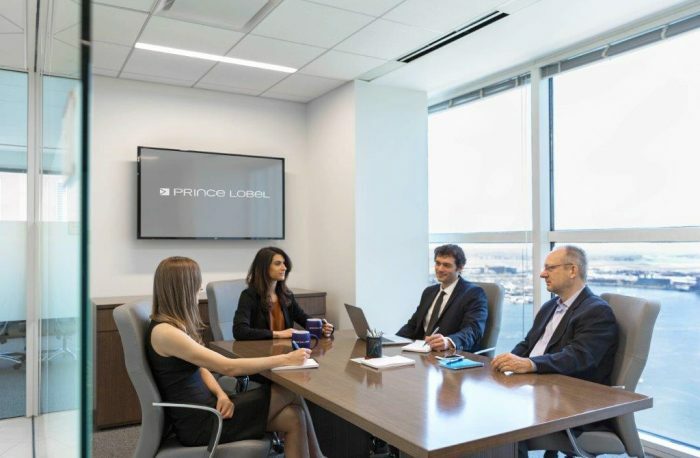 In 2016, Prince Lobel received the Excellence in Pro Bono award from Massachusetts Lawyers Weekly, the first time the honor been extended to an entire law firm. Over the course of the past year, our attorneys donated the equivalent of $400,000 in pro bono time. Our firm represents five Guatemalan children who came to the U.S. to flee violence in their native country. Our attorneys have guided these children through the process of seeking Special Immigrant Juvenile Status in the Immigration Court and the Probate & Family Court. We represented a Haitian woman living in Canada who sought to be reunited with her children, who were living with court-appointed guardians in Massachusetts due to disruption from the 2010 Haiti earthquake. Our attorneys succeeded in restoring the mother’s parental rights. Our media lawyers have represented investigative journalism non-profits and documentary filmmakers, providing them with prepublication review of news articles, copyright advice, and court advocacy for public records. Our domestic relations attorneys routinely accept appointments from the courts and local bar associations to serve as conciliators, counsel for children, or divorce lawyers for some of the many individuals who cannot afford legal representation. We represent Allston Village Main Streets (AVMS) in the temporary use of the International Bike Building in Allston for an indoor skate park sponsored by Converse, and “pop up” uses, such as a community bike shop and a temporary vintage clothing store. The building owner, Eden Properties, is making the building available to AVMS while Eden seeks permits for a new project at the location. Working with Medical-Legal Partnership Boston, Prince Lobel has provided pro bono legal counsel to low-income and medically vulnerable individuals. A firm associate received an “Excellence in Legal Partnership” award for his dedication and commitment to this organization. Prince Lobel attorneys pitched in to help Mery Daniels, a victim of the 2013 bombings at the Boston Marathon. Our attorneys assisted Mery with everything from protecting the money she received from the OneFund to finding accessible housing. Prince Lobel provided pro bono legal services to “Outside the Box Festival 2013,” the first citywide, multi-arts festival based in Boston. Our lawyers have provided pro bono assistance to AIDS patients, with respect to assuring their health and disability benefits, and also in the field of estate planning. Our attorneys provide pro bono legal services for a Massachusetts Bar Association program that offers free basic estate planning to low-income elderly residents of the Commonwealth. One of our attorneys assisted the nonprofit “Meet the Worms” in creating a 501(c)(3) organization. Spearheaded by the Barbara Lynch Foundation, “Meet the Worms” is dedicated to teaching young children the importance of nutrition and living a healthy lifestyle.